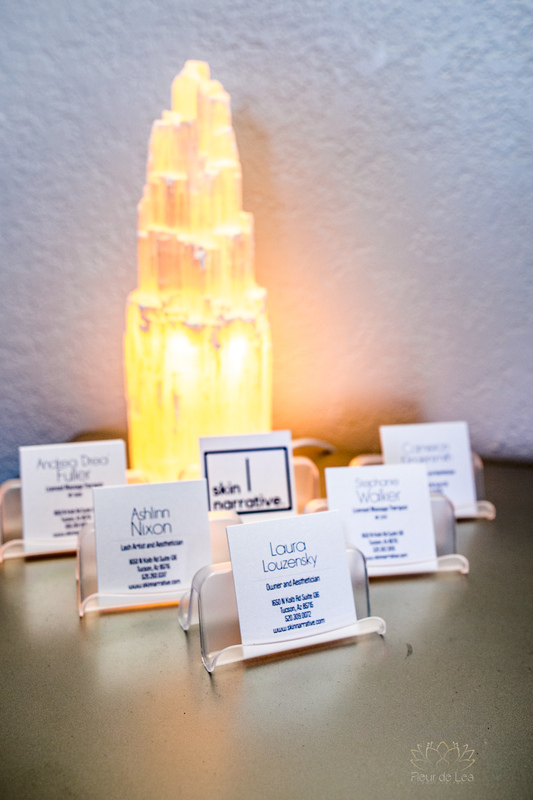 This week I had the wonderful pleasure of meeting with Laura, owner of Skin Narrative, located on Tucson’s eastside. 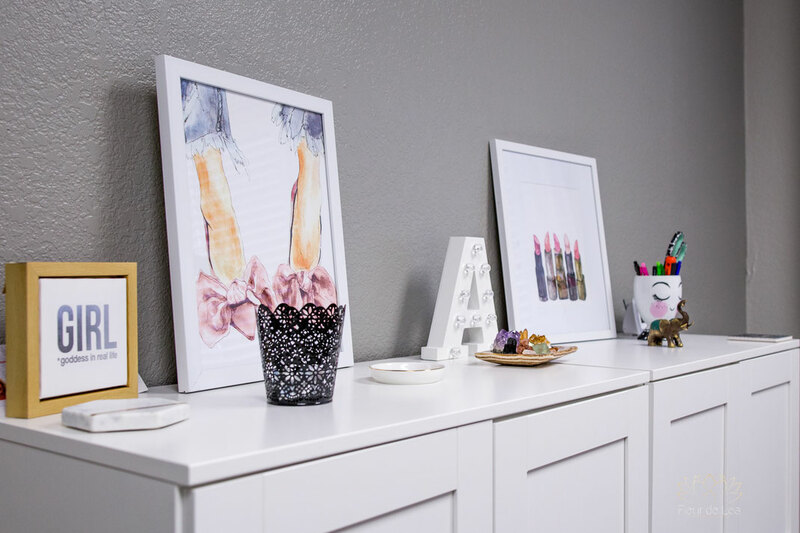 She was incredibly kind and welcoming when we met about her business, which by the way is not only gorgeously designed on the inside... but also built on a fabulous client experience. 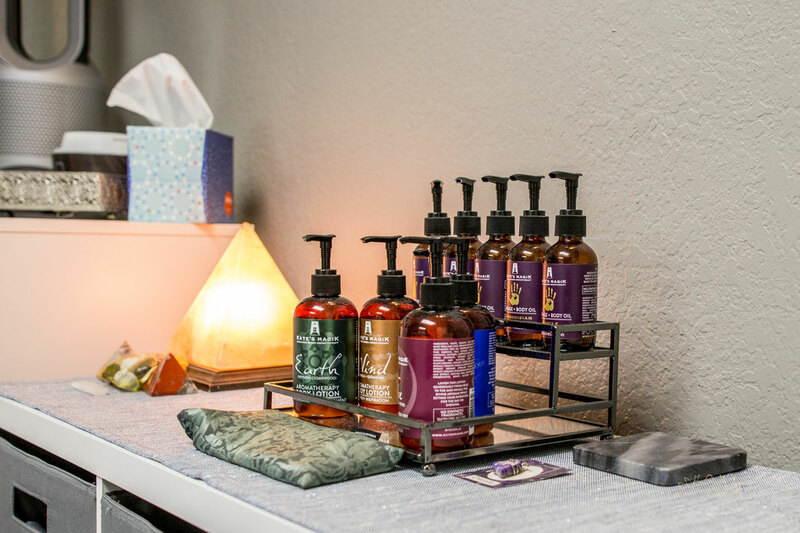 From massages, to facials, to waxing, lashes, skin care and more, take some time for self love and care! 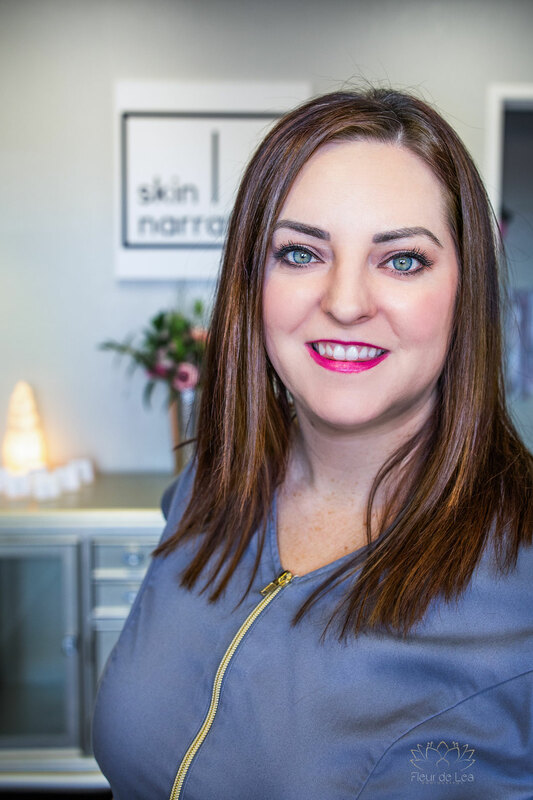 I can’t recommend Skin Narrative enough and I am excited to share with you February’s Tucson Spotlight! Tell us about your business, What do you do? 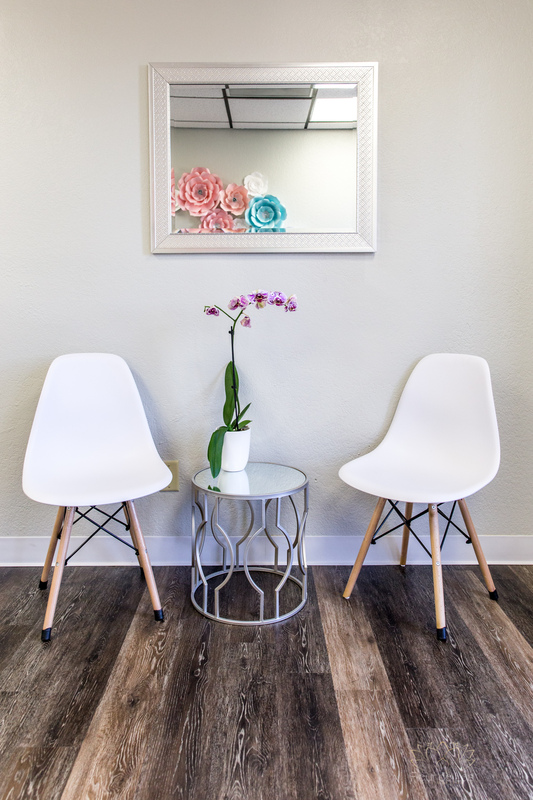 We are a skin care studio that offers corrective skin care, lash extensions, body waxing, and therapeutic massage. My personal clientele is skin care focused. I use results driven products and treatments that allow you to have the skin you've always dreamed of! 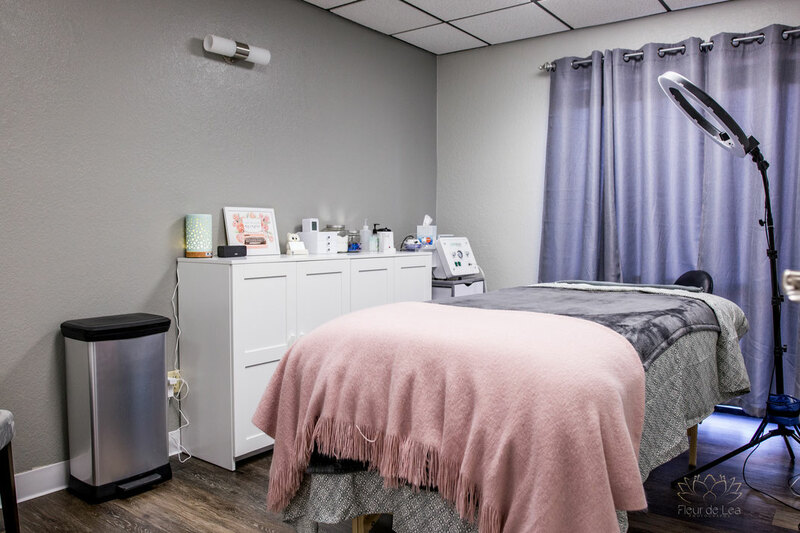 I offer dermaplaning, peels, microneedling, and treatments for anti aging, acne, general skin glowing power...with a bit of relaxation mixed in. Ashlinn Nixon is our resident lash artist and an amazing one at that! Her lash sets are always full, fluffy and bring out the individual beauty of her clients eyes. Cameron Klingensmith is our wax technician. She has an eye for brow design AND the ability to make a Brazilian quick and as painless as possible. Soon she will be adding skin care services to her menu so we can get Tucson's skin glowing together! 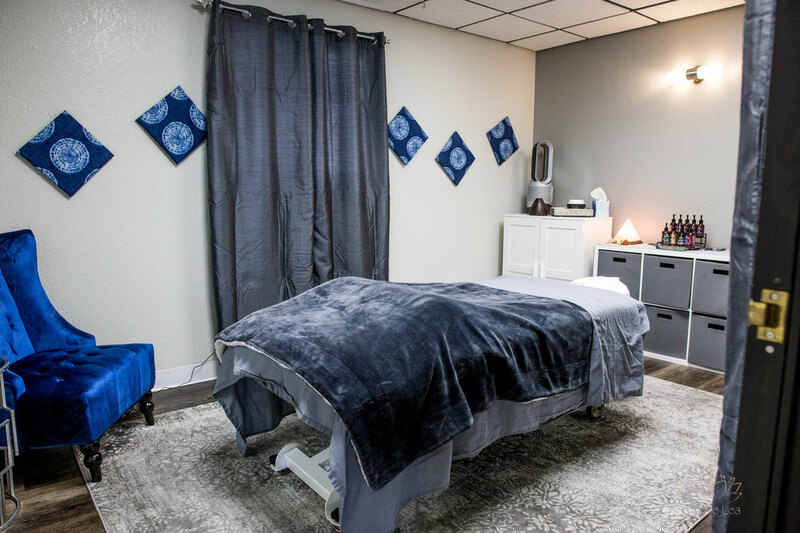 Stephanie Walker and Andrea Fuller are our licensed massage therapists. Both has an innate skill for feeling tension and tightness in the body and releasing it with a mix of massage modalities. Being a client on their table is an experience that leads to better health both physically, emotionally, and spiritually. As a teen and young adult, I struggled with acne and skin that was less than what I desired. I have always been a self proclaimed science nerd and my interest in studying the skin led me to this career. 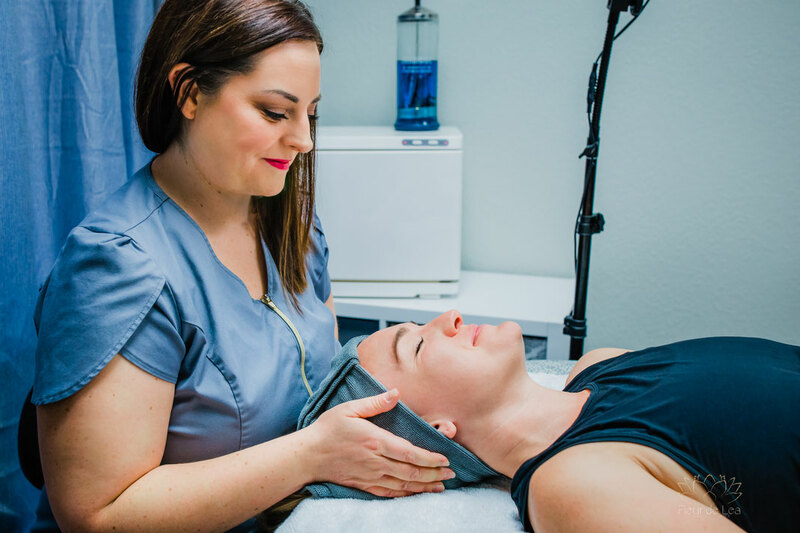 My passion and love of learning has continued and led me to offer the treatments that I feel are most beneficial to the skin. I love to research ingredients, products, physiology and how ingredients interact with each other. 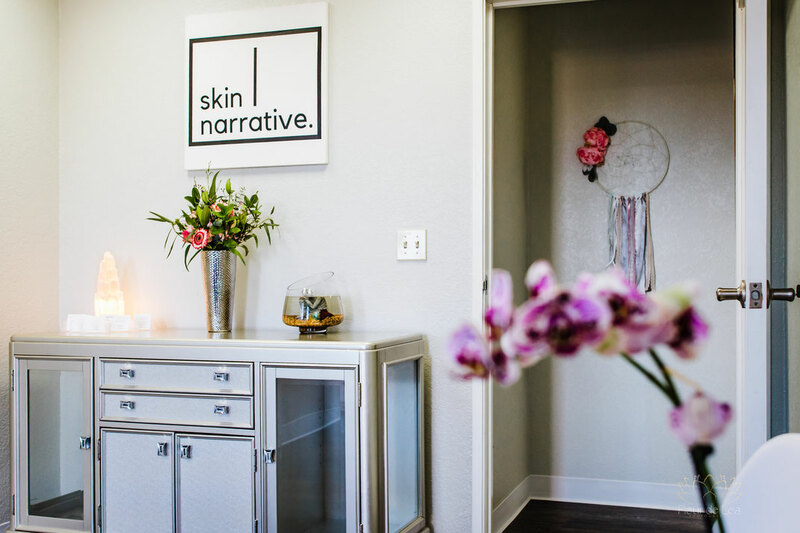 This led me to recently formulating a line of skin care for my clients, also under the name Skin Narrative. 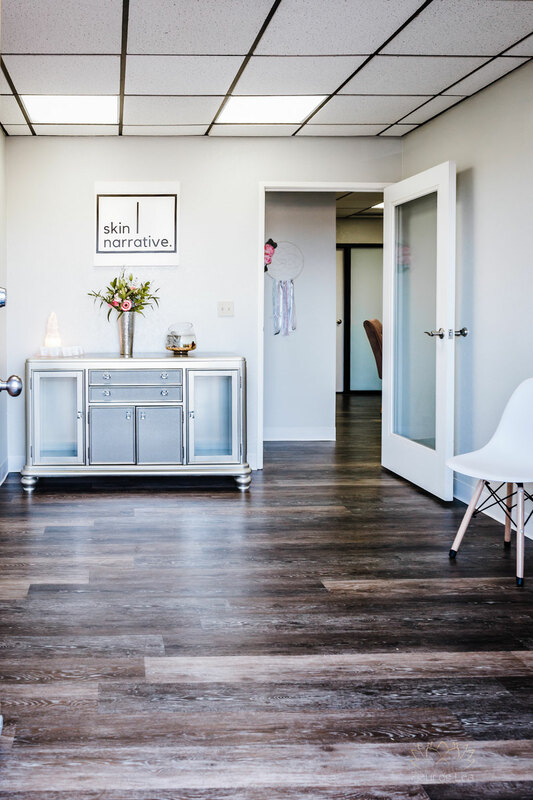 Skin Narrative was born of my belief that we can change your skin, just as we can change the story that you have with it. I understand the struggle of low self-esteem and perception of my skin and body due to imperfections (in reality or on my perception) and my goal is to help others find the beauty that already exists in them. Helping others heal their skin may seem superficial, but it is in fact a journey that will change the whole story a person tells to themselves and the world. Watching my clients grow to love themselves more and more is my ultimate goal. Dermaplaning!! It's one of those treatments that makes you think, " How have I gone my whole life without this?!" My clients for crazy for it! I'm also a big believer in self care. We NEED to make ourselves a priority in our lives and finding something that makes your soul and heart feel renewed is an essential part of our wellbeing. For me that's a facial or a massage! I always try to do special things for my clients because I feel like they become part of my family. But my favorite was when one of my lash extension clients was nearing the end of her pregnancy and had to be on bed rest in the hospital. I went to the hospital to fill her lashes! Her precious little girl came a few days later...and her lashes looked great! 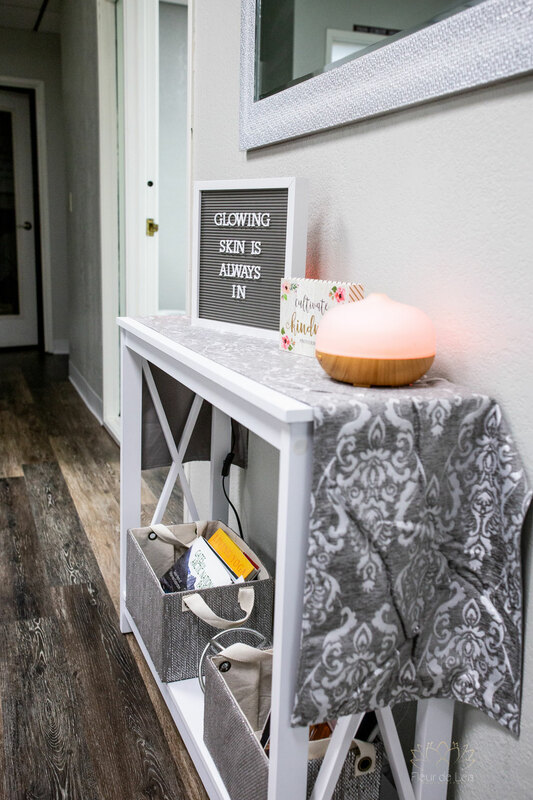 I have had so many amazing things come from my clients, but my most favorite was this past fall when opening this studio. The process of opening a business can be exhausting and a bit stressful. It's easy to get lost in the details. After a conversation with a client/friend, she must have been able to tell I was feeling a bit overwhelmed. A few days later I received a letter in the mail from her with a poem she wrote about following your heart and staying true to your dream. It was so touching and truly reminded me of why I do this. It's about the connections we get to make within our community. I was also a bartender in Tucson for many years and I LOVE food, so I've got a list of favorite local places. Thirsty's (and not just because I worked there lol), Jonathan's Cork, Baja Cafe, Zayna. We love our karate studio where my son takes karate, West Coast Kararte. The instructors are amazing and the community that the kids make is amazing to watch. Ohana Direct Primary Care has been a godsend to my life. Two talented Nurse Practitioners who have a passion for providing exceptional care. They are really rewriting the way the health care industry does business. Jessica Ganz has become a dear friend of mine and watching her provide such an essential service to our community is amazing. My husband and my son! My whole life is about making memories with them. I love to read and I love to cook! Waking up, making a yummy breakfast, spending time are the park with my son and husband. Not a moment goes by that we are being asked to catch or kick a ball around. And then getting to work with my clients! I love what I do so much that I would do it everyday if I could! 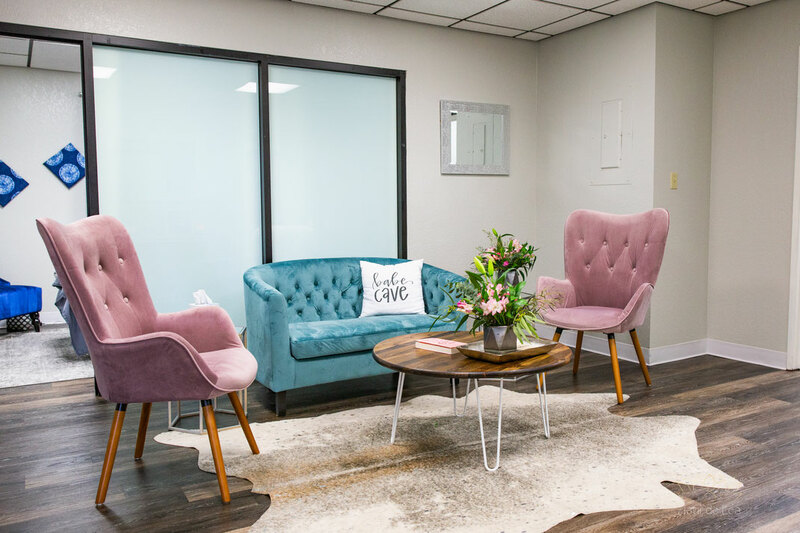 I can't thank you enough for capturing such phenomenal photos of our space! 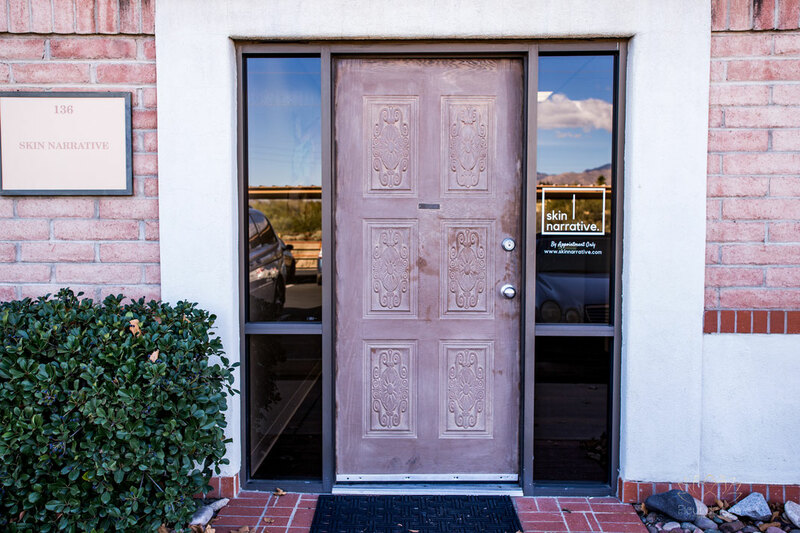 It's so amazing to see our studio through the eye of your lense!